When will there be new Aquadives? Thread: When will there be new Aquadives? 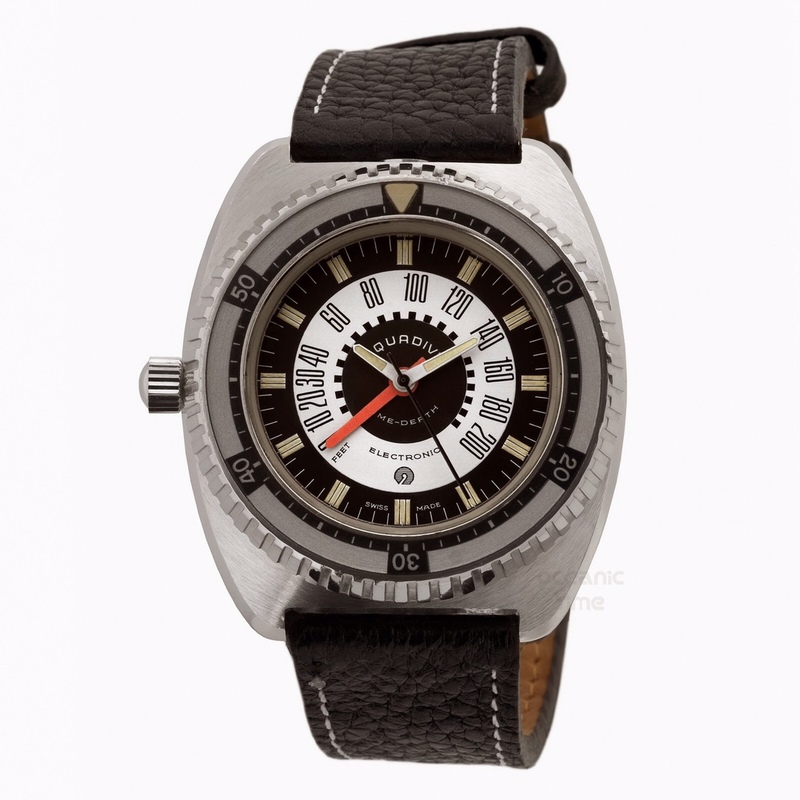 When will there be new watches from Aquadive? 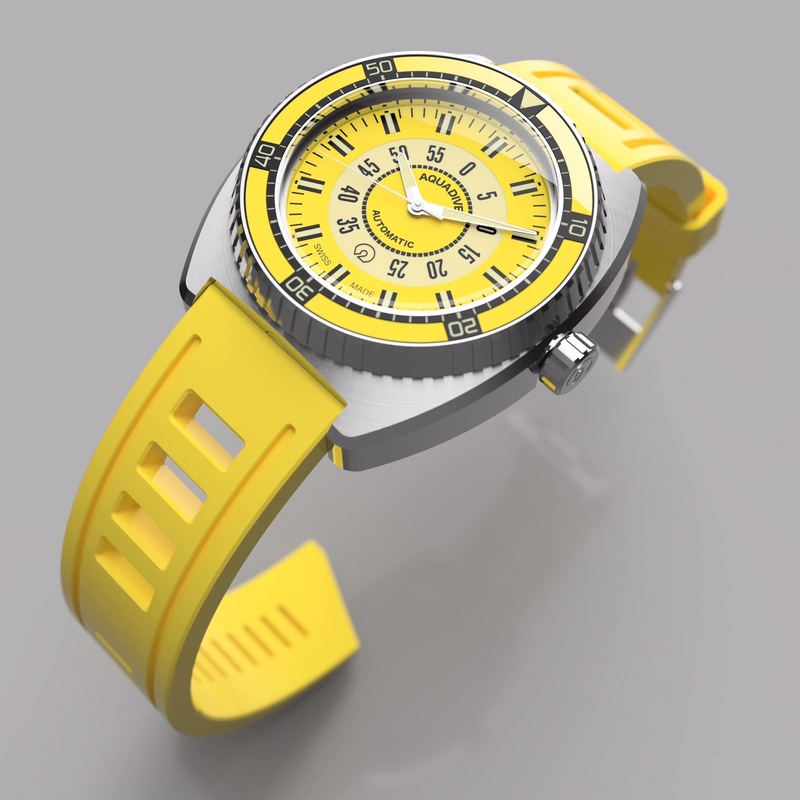 It is Baselworld right now and every watch enterprise in the world shows new watches, how about Aquadive. Where is the announced new BS 100 GMT? Are there any other watches in the pipeline? So many questions so little answers. Re: When will there be new Aquadives? Case dimensions: 42mm diameter, 13.5mm height, 49mm lug to lug, ETA 2824-2 movment, Water resistant to 300m. HRV at 6, available on isofrane or stainless steel mesh bracelet. Giggo, kiwi.bloke, 5imon L and 3 others like this. Will it be made with hardened steel? Top Grade movement adjusted in 5 positions? DLC versions? Last edited by Spring-Diver; 1 Week Ago at 20:05. That has a lot going for it design wise. I'll be keeping an eye out on the future of this one. That looks really cool. Shame it’s tiny. Guess you can’t keep everyone happy. I’m sure that will sell well. I’ll be keeping an eye out for s bigger brother. Holy. Crap. This is gorgeous. Will look amazing on a black isofrane rather than the yellow. Any of the other oldschool colour combos would be equally amazing. Nicely done - love it. The “lighter yellow” is a true yellow, and the darker yellow is actually orange. « So is this a dead forum? Will there be new releases in Jan/Feb of 2017 with Baselworld in March? "Big" watch related - Will there be new movement form factors? Will there be new models unvieled at Basel? Will there be new styles of the U watch ?